Squire Ground Anchor Kit 900mm length Shed or garage security kit designed to secure all manner of products with an anchor, 6.5mm diameter sleeved chain and a 6.3mm hardened steel shackle 40mm steel padlock. Comes with 2 keys and fixings. 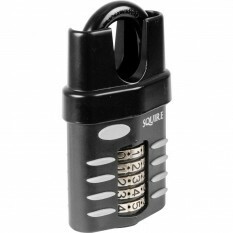 Squire Weatherproof High Security Padlock 57 x 9 x 20mm CS Solid steel lock body with soft feel cover with 9mm hardened steel shackle. 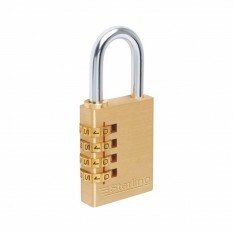 Rekeyable 5 pin cylinder. Includes 2 keys. 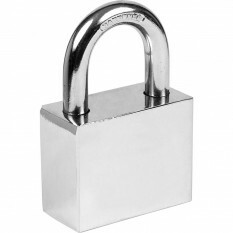 Squire Stronghold Solid Steel Padlock 50 x 10 x 26mm Boron alloy steel hardened shackle, enclosed for extra protection. Solid hardened steel body. 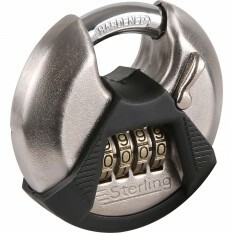 5 pin tumbler lock mechanism. CEN grade 3 high security rating. Includes 2 keys. 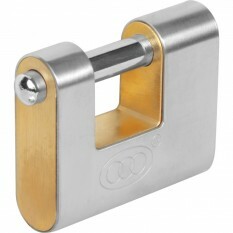 Defender Brass Padlock 30 x 4.8 x 17mm Double locking. Anti- corrosion brass body. Brass cylinder. 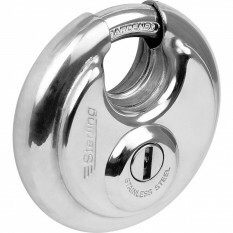 Hardened steel chrome plated shackle. Stainless steel springs. Includes 2 keys. 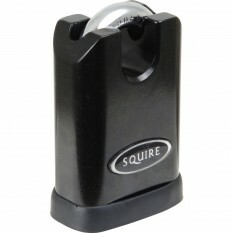 Squire Combination All Weather Padlock 60 x 10 x 29mm Hardened steel with a tough die cast alloy body. 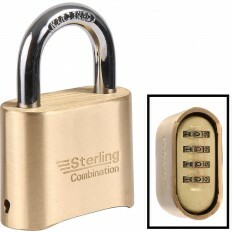 Recodeable with 10,000 combinations (60mm has 100,000 combinations). 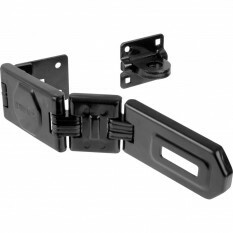 Highly resistant to corrosion, perfect for outdoor use. 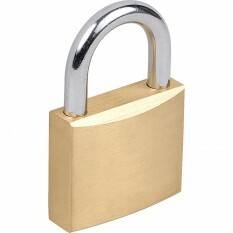 All Dimensions are as follow: Padlock Body Width x Shackle Diameter x max. Interior shackle Height. 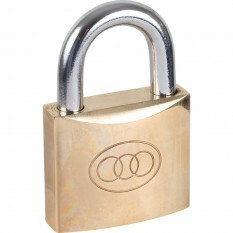 LS= Long shackle,KA = Keyed Alike, CS = Closed Shackle. 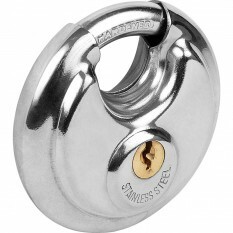 Squire Hasp & Staple 152mm Hardened steel clam supplied with fixings. 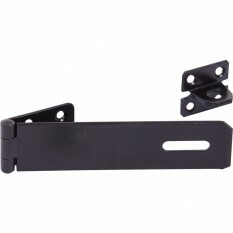 Ideal for sheds, gates, cabinets etc. 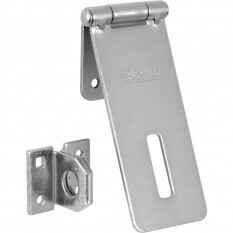 Squire Hasp & Staple 200mm Double hinged hasp & staple designed for poor fitting doors etc. Hardened staple, comes with fixings. 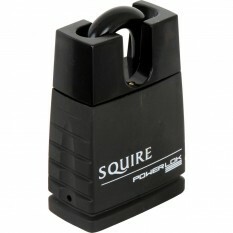 Squire Locking Hasp 170mm Hardened steel hasp. Includes 2 keys. Medium Duty Brenton Bolt 150mm Size shown is the lenght of the bolt. 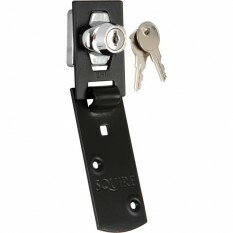 Squire Combi Locking Bolt black Suitible for internal or external use. Complete with security screws. Easily recodeable with 10,000 code combinations. 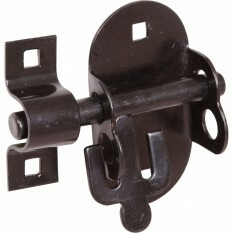 Die cast lock body with steel bolt. Overlengh: 125mm. 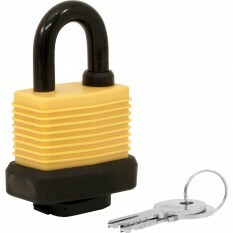 Oval Padlock Bolt Black Double sided bolt. Mild steel with a black japanned finish. 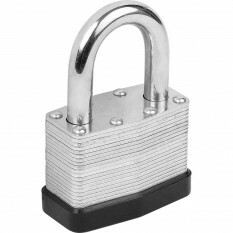 Black Hasp & Staple 75mm Lockable product used for securing sheds, gates, greenhouses etc. Mild steel. 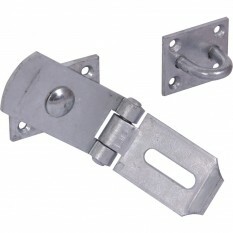 Heavy Duty Hasp & Staple 180mm Galv. 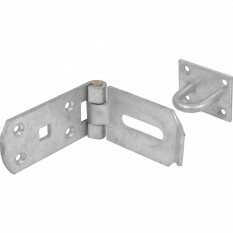 Heavy Duty Hasp & Staple 180mm Galv. 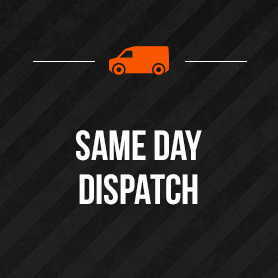 Steel, heavy duty, for use on gates and garages, van doors etc. 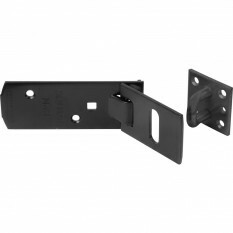 Heavy Duty Black Safety Hasp & Staple 203mm Lockable product for use on medium weight doors such as garage, shed, van etc. Malleable iron powder coated. 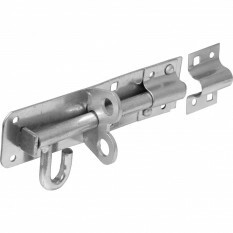 Heavy Swivel Locking Bar 200mm Galvanised steel, with swivel, for securing or locking double doors.